I’m fussy when it comes to Indian food. I like what some people (not me) would probably term as “posh Indian” food (for example Purple Poppadom and Moksh), and I do like a good traditional curryhouse curry too, but the problem is there are an awful lot of bad curryhouse curries out there. I often shy away from that type of meal because the chances of the food being over-spiced, greasy or sloppy, or the meat being tough, fatty, dry or downright cheap are often high. In fact, I have a long list of potential complaints about curryhouses – and this review lists most of them. Happily, it does so because I’ve found a good curry house which doesn’t seem to commit any of the curry sins that I dislike. Even more happily, this curryhouse is in Penarth, in the shape of the Paramount, so when Mr W suggests (as he frequently does) that we go for a curry, my heart doesn’t sink in the way that it used to before I’d discovered how good it was. We ate there on a recent Saturday night when we fancied something quiet and close to home. It was relatively busy, but not packed, which was a good thing (for us!) as it can feel a little cramped when it’s full, and it’s also prone to the windows steaming up! 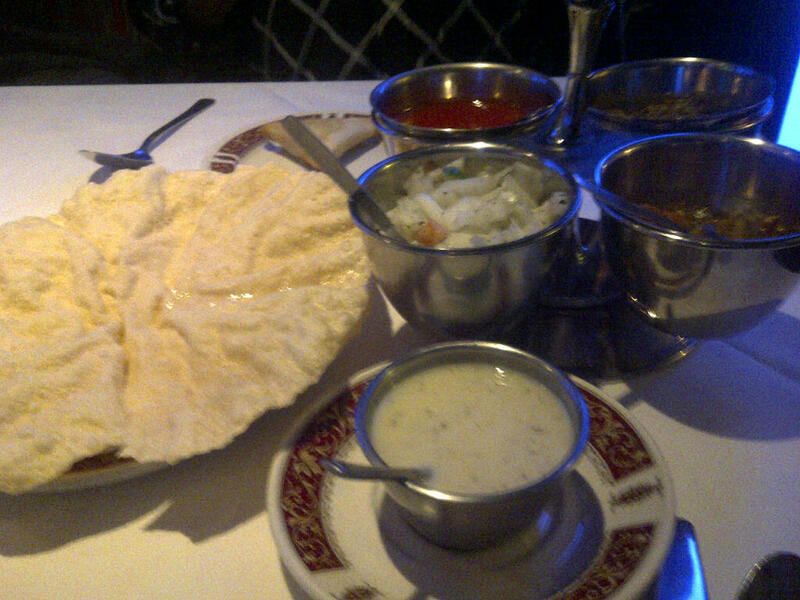 We started with the almost obligatory poppadoms, which were crisp, fresh and not greasy. They’d obviously been freshly prepared and not kept waiting, as they weren’t the slightest bit chewy (another all too common complaint from me in curryhouses!) The chutney selection was standard, but good quality – again, they all seemed fresh, and – a big plus for me – the mango chutney was runny, rather than big lumps of mango mushed together. 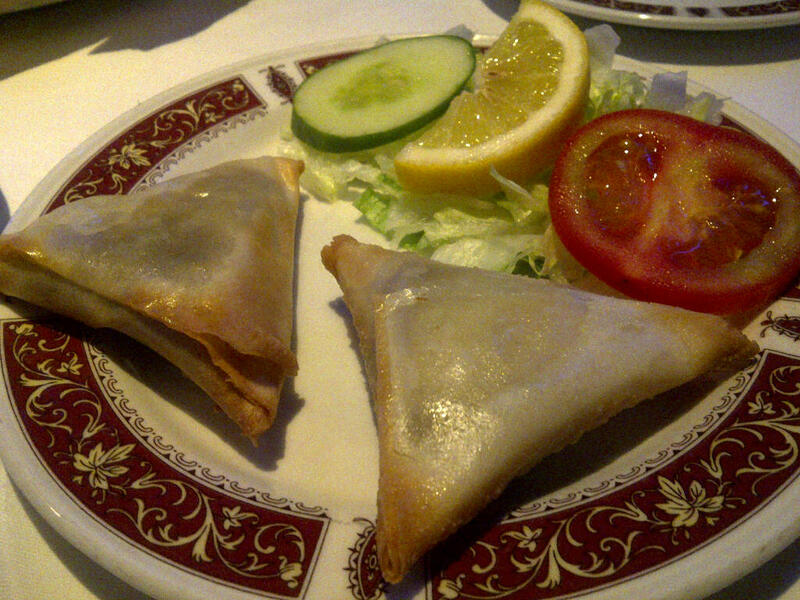 We then shared a starter of meat samosas. These were spicy and served simply with a salad garnish – had we not held on to the pickle tray and raita, I’d have asked for an extra sauce. Again, they were crisp, hot and definitely freshly cooked. 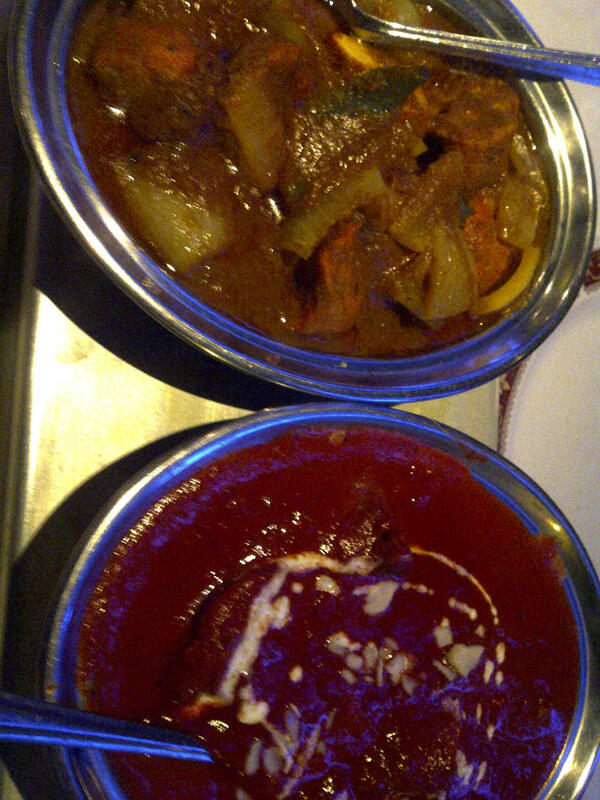 For my main meal, I chose lamb tikka masala. The sauce was rich and tasty, and balanced spicy tomato with a creamy texture almost perfectly. The lamb was tender and not tough or fatty, but could have done with being a bit rarer – it’s been rarer than this when I’ve eaten there before. Mr W chose a chicken dopiaza, which contained plentiful pieces of tender, moist chicken breast, with chunky onion and peppers. His dish was hotter than mine and was full of flavour. Neither of our dishes was too oily, and there certainly wasn’t any sign of the unpleasant layer of grease that sometimes tops a curry. A sag bhaji was pleasantly dry (I always order this as an accompaniment instead of rice, so don’t enjoy it if it’s too wet) and Mr W’s pilau rice was fluffy and well cooked. 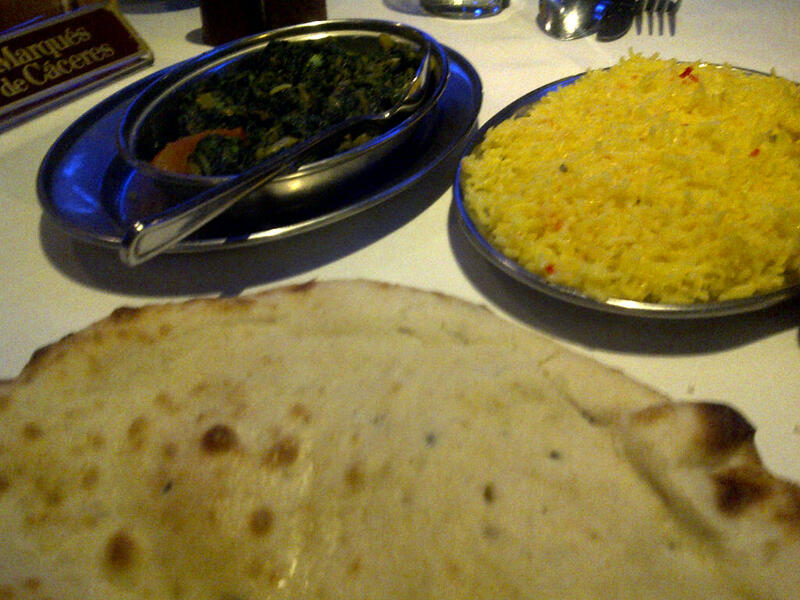 Our peshwari naan was soft, puffy and had enough filling to give it flavour but not so much that it rained down all over the table when we broke the naan apart (yet another on the list of common complaints). Also, at the risk of sounding like a broken record, it wasn’t at all greasy – and neither was it burnt. Service was friendly and helpful. One waiter seemed a little abrupt at first, but later on we chatted to him and he relaxed and became as friendly and personable as his colleagues. 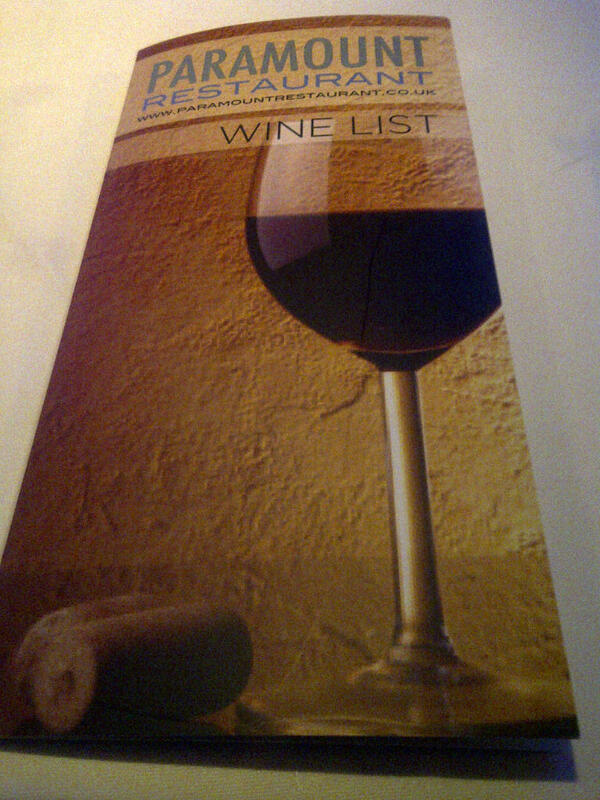 A curryhouse with a wine list! Another big plus for me with the Paramount is their wine list. We spoke to the head waiter, and he told us he’s put the wine list together himself to offer reasonable quality wines to his diners at equally reasonable prices. I know that not everyone likes wine with a curry, but I don’t drink beer, which is another reason I often don’t enjoy going to curry houses, because the wine, particularly the house wine, is often dire. Here, however, the house wine is a Las Montanas Chilean Sauvignon Blanc and Chilean Merlot, both available by the glass or for an astonishingly good value £9.95 a bottle. We tried both, and they were extremely palatable and very good value. The wine list offered a range of other, equally reasonably price, options, so the Paramount is the ideal destination for anyone like me who enjoys a glass or two of wine with their curry. BYO is permitted, but – understandably – they won’t offer an ice bucket, and if you ask for water with your wine, you’ll just get a glass of tap water, no ice or lemon. My view is that this is perfectly reasonable, particularly when they offer a decent selection of wines at excellent prices. They also offer takeaway, although I don’t think they deliver, so with their location next to the station it’s also handy to pick up a curry to take home after a hard day at work! I’m exactly the same. Prefer lamb but when it’s bad, it’s awful! Never had a bad experience at the Paramount, though.